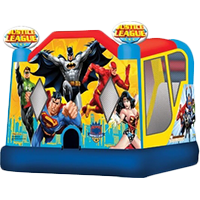 This 24′ climbing wall is now available for your next event! The ultimate challenge for young and old alike. Rock climbing is a great way to build self-esteem and offers good, clean physical fun. 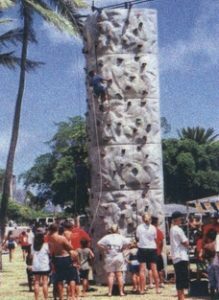 An excellent attraction to have at your company picnic, youth group/school event, etc.. You can feel safe on this Extreme wall with the auto-belay system that will bring you gently back to earth. 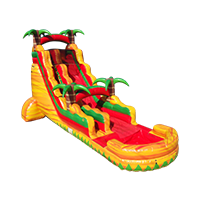 This is the ultimate in walk-on-water fun. 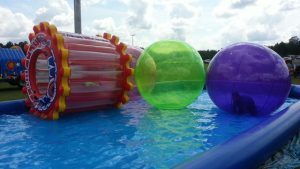 Like a hamster in a ball, you too can run across the pond or roll your way across in the Water-wheel of fun! Kids can have a paddlin’ good time in their own boat. 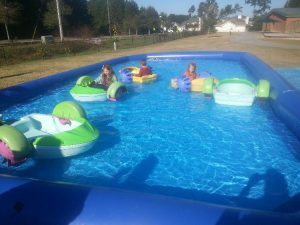 This 20′ x 40′ pond is perfect for cool fun in your backyard or a great fundraiser idea for schools and public functions. Launch yourself into the air with the Bungee Trampoline. 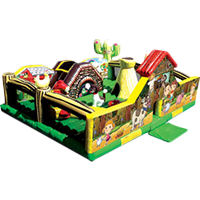 The Bungee Trampoline is one of the most popular and impressive things to do at a carnival or festival. 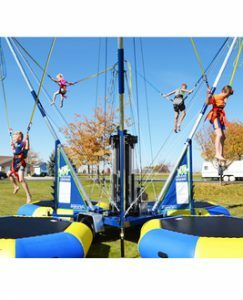 Our four station bungee trampoline can get many people though this ride in a short period of time and has the ability to launch each rider 28′ into the air! Experience the adrenaline rush of our Bungee Trampoline Jump as you perform gravity-defying moves! Our trained Bungee Attendants will fit you into a safety harness with Bungee cords on both sides. 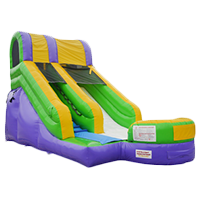 Up to 4 people can jump at the same time. Bungee riders must be at least 4 years of age, weigh at least 20 pounds and no more than 220 pounds.